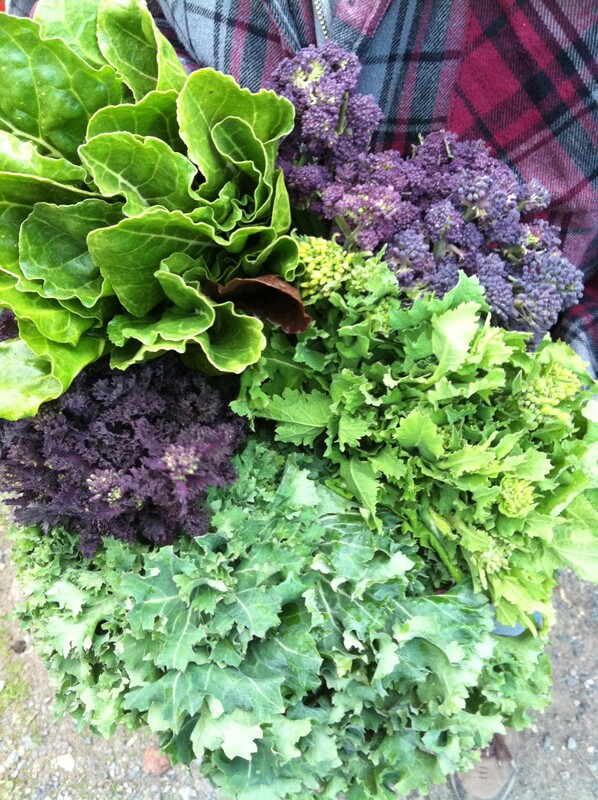 This week's greens, clockwise from top left: Swiss Chard, Purple Sprouting Broccoli, Turnip Rapini, Siberian Kale, and Sprouty Redbor Kale. We were worried a few weeks ago that we wouldn’t be able to glean much for the first week. It was so cold and rainy. But the last week has made up for it—it’s been warm and sunny, and the overwintered crops have thrived. 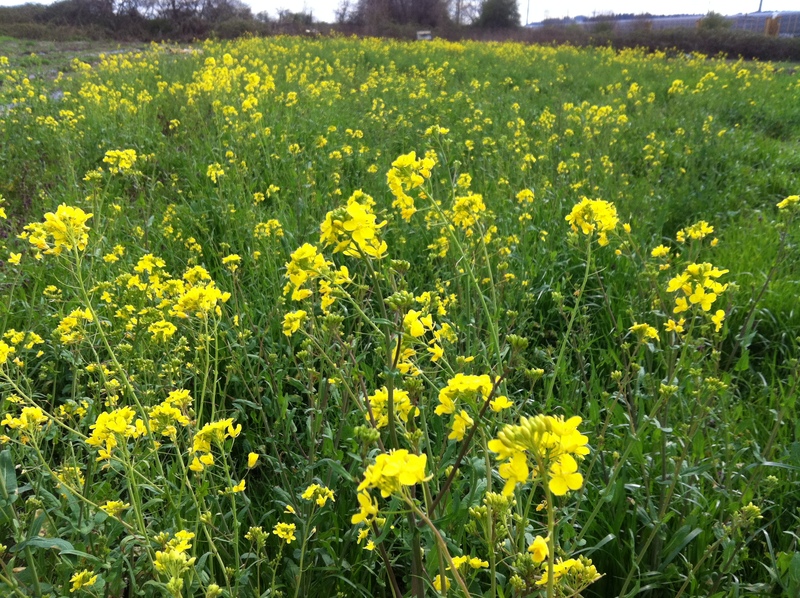 All of the brassica crops have burst into bud—and that means good eating. I love all of the “broccolis”—those flowering tops of “cole” plants. They all do it—make flowers, that is. My favorite is Cabbage broccoli—it’s sweet and tender. Kale broccoli are sweet, too, and you get those little tender leaves to eat with it. Kohlrabi broccoli are tasty, but slightly bitter. But turnip broccoli, or “Broccoli di Rapa” aka Broccoli Raab, is the most bitter. Bitter and sweet, and tender. I have grand plans for the rapini, broccoli, and chard. I’m excited to see all the lovely greens. The last few days I’ve been laid low by a spring cold and reading “An Everlasting Meal” by Tamar Adler. I always use as much of my box as possible, saving anything I can’t eat this week by freezing or preserving. spring tonic to help give me a boost. Just knowing I’ve got fresh healthy veggies, so alive with sun and rain, makes me feel better already. Here’s to a great growing season!